A New York Year is the seventh addition to the outstanding A Kids' Year series of picture books. Again five children from diverse cultures share their experiences through the seasons. Fabian was born in Puerto Rico. Madison’s forebears came from Ireland. Sofia’s Nonna came from Italy, Alexander’s Jewish ancestors came from Germany, and Jayla is African-American. January is the coldest time of the year in New York. The children showcase their everyday indoor and outdoor activities, food and preferences in sport. Each month follows with its own specific celebrations which include culturally specific foods, rituals and customs. Special events like Inaugural Day, St Patrick’s Day Parade, Flag Day, Rosh Hashanah, Presidents’ birthdays, Chinese New Year, cultural days and sporting activities, are opportunities for kids to have fun. There is so much to learn about and see in New York. Famous sites and landmarks fill the pages. Some of these will be familiar to young readers through movies and television. This book is an exciting journey of discovery. Each page is full of wonderful illustrations that support the information the children present. They are attractive, full of life and colour, just like the kids. Children will be curious about annual days that are different to ours, like Father’s Day which falls in June in New York and September in Australia. There are different words for the same thing; Autumn is called Fall and Summer Vacation is our end-of-year school holidays. There are differences and similarities to be found between the kids of New York and Aussie kids. They’ll learn about the Adirondacks and what Kwanzaa and Hanukkah are. There is a double page spread at the end with a Fact List on New York State, accompanied by a colourful map of the area including counties and the Adirondack region. The stunning endpapers depict all the illustrations in the book. More search-and-find fun for kids! 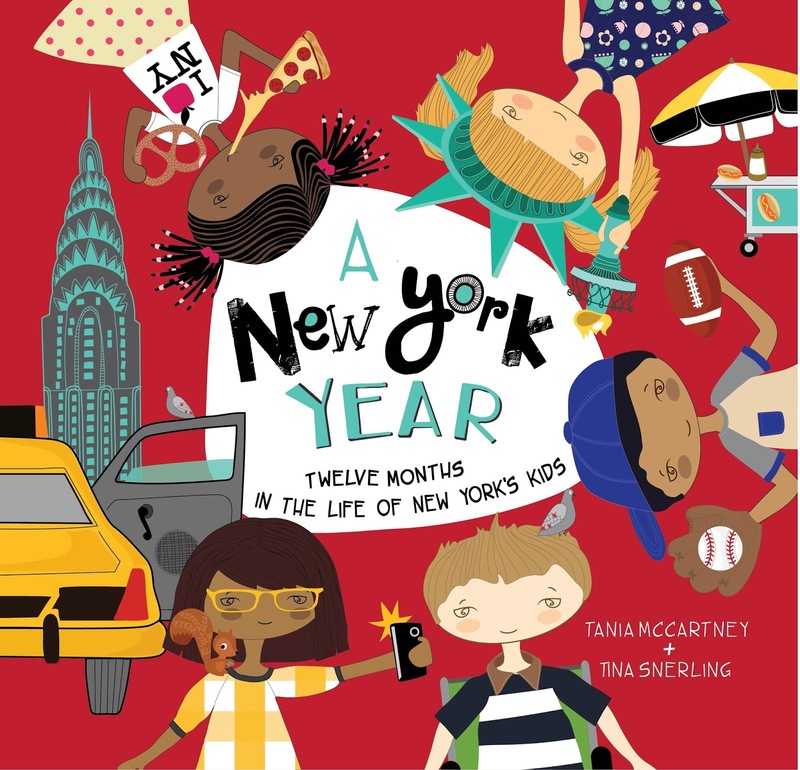 This is an educational adventure for young readers who long to learn about the world around them, particularly if they have an interest in New York and its vibrant and diverse population.